I’m interested in Journalism but I don’t think I want to be a reporter. Is this still a good major for me? Students become journalism majors for lots of reasons. Most want to work for newspapers, magazines, radio, online or television news. Many go on to law school, do public relations or become teachers. Or they may just like to write and they don’t really know what they want to do. The skills you develop in this major, like information gathering, the ability to do research, critical thinking and clear writing, will help you in any career you choose. I really want to major in Journalism but I know I need some help with my writing. What should I do? By the time we accept you into the major, we assume students are proficient in basic writing skills. If you think you may need to review your writing skills, speak to one of your Journalism professors. Or check with the Writing Center in the northwest corner of the W.E.B. DuBois Library's Learning Commons. You can use this center on a walk-in basis, and more extensive support is available there as well. We do not keep departmental or online waiting lists for Journalism classes. If you are unable to get into a class because it is full, you may contact the professor and let him or her know of your interest. In most cases, the professor will tell you to come to the first class meeting of the semester. At that time, you should be given some idea as to the likelihood of getting into the class. In the meantime, you should have an alternative plan in mind in case you are not able to get into the class you want. Choose another open Journalism class, a General or Global Education requirement if you still need any, or something for your minor (or second major). How big are Journalism classes? 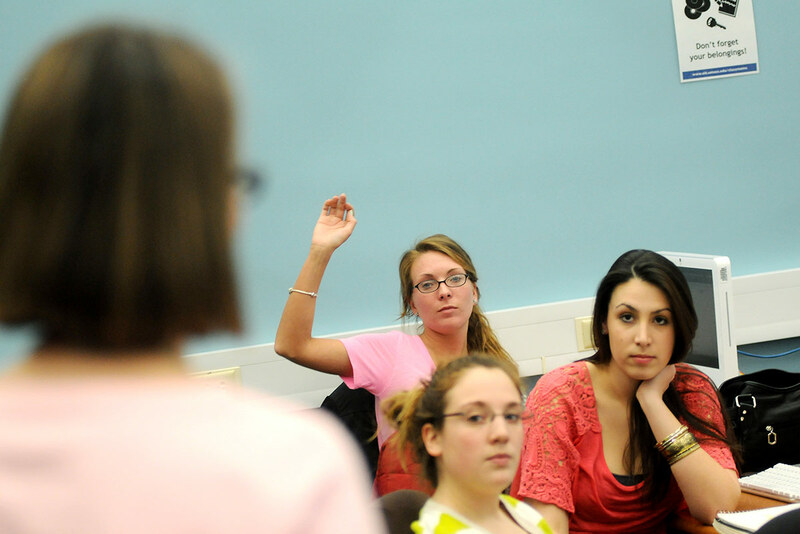 Journalism lecture and discussion classes range in size from 20 to 40 students. Our writing classes are between 12 and 15 students.